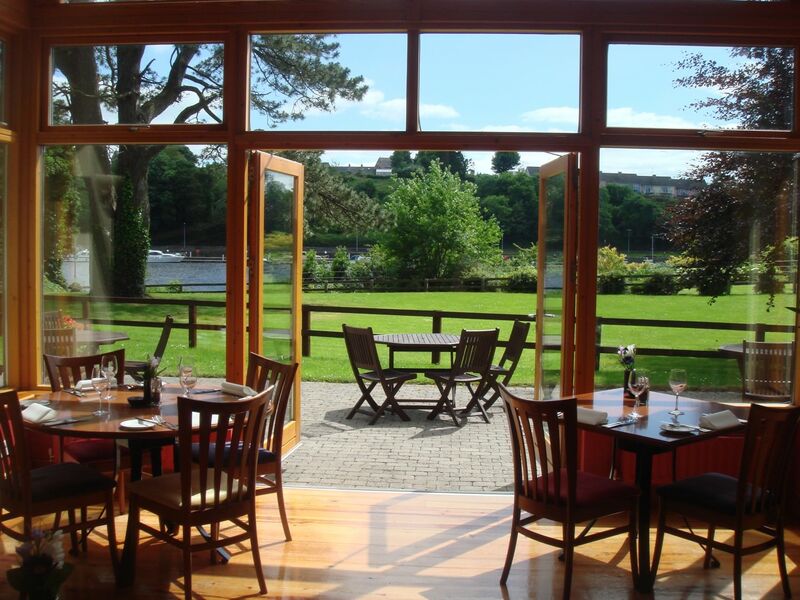 The Cherry Tree is located in beautiful surroundings by a lake in Killaloe, County Clare. It has received many awards for its innovative, fresh food. The restaurant is set in a lovely lakeside setting and has a striking wooden interior. Built and opened in 2000 by top chef, Harry McKeogh, The Cherry Tree is a contemporary style restaurant serving mouth watering dishes, using fresh, organic vegetables and superb meats. They offer an extensive A la Carte menu, as well as a five course, set menu and an early bird menu. The Cherry Tree can seat up to 60 people and is the ideal venue for any occasion. It is also available for weddings and private hire. Opening hours are from 6pm until 10pm, Tuesday to Saturday and Sunday Lunch is served from 12.30pm until 3pm. The early bird menu is available until 7.30pm during the week and until 7pm on Saturday evenings.